The Annual Thumb Festival traditions are once again upon us! To kick off the events, the winner of the ever exciting Thumb Festival Button has been chosen. Makenzie Anglebrandt, daughter of David and Heather Anglebrant, created this year’s charming design. Because of the exciting button selection, she will soon be awarded the one hundred dollar prize. The course of events contributing to her achievement was seemingly modest when she first began forming a style that represented this celebration. Makenzie is a freshman at Sandusky Junior/Senior High School. Furthermore, her teacher, Mr. Yaroch, presented his class with the option of submitting a button design, which, of course, Makenzie partook in. She explained that she formed her button with the intent of a “small town” feel. 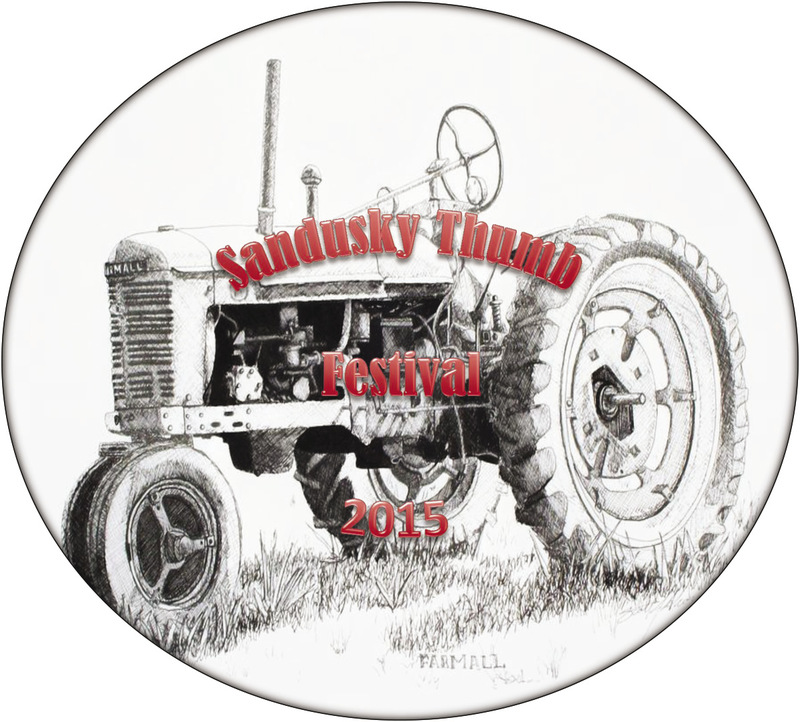 The button represents Sandusky’s strong ties as a farming community with a black and white tractor behind the festival title. Hopefully everyone is able to collect this commemorative button of 2015. Certainly, there are traditions the Thumb Festival organizes every year, but each individual year offers unique memories to be formed, as well. Additionally, a congratulation to Makenzie’s winning button design!